Nose: Peat-smoke with sea-water saltiness, the liquor of fresh oysters, a citrus sweetness. 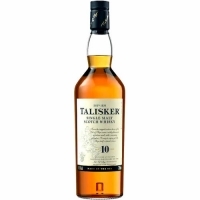 Palate: A rich dried-fruit sweetness with clouds of smoke and strong barley-malt flavors, warming and intense. At the back of the mouth is an explosion of pepper. Finish: Huge, long, peppery finish with an appetising sweetness.